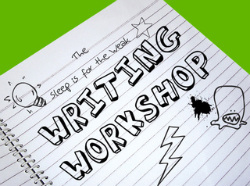 I have written this for the Writing Workshop that is run by Josie at Sleep Is For The Weak. This week was Workshop #25 and I have written my own take on prompt #5 - a simple word prompt: "ESCAPE". I've tried to be clever here and written a poem (of sorts). Each line of the poem starts with each letter of the word "ESCAPE" (an acrostic) and the first word in each line of the poem means "ESCAPE". Maybe I've tried to be too clever and it doesn't work? Please feedback in the comments section.